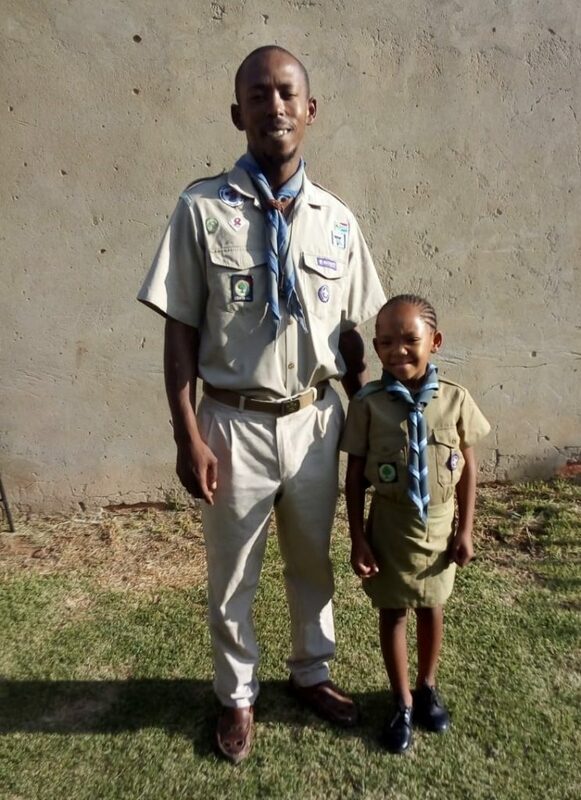 Lingelethu Doctor Hlelani started his Scouting career in 1999 when he joined the 1st ACC Scout Group. 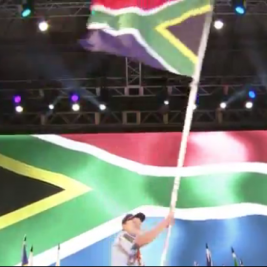 In 2000 his Scout Group closed down, but 3 years later he returned and joined the 2nd Embonisweni Primary School Group. 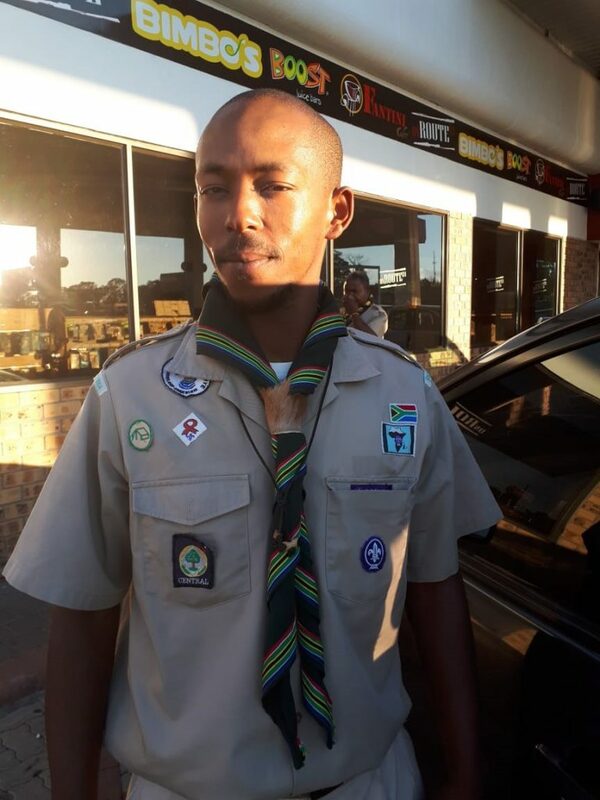 He has had many roles in Scouting ranging from Patrol Leader in the Zebra Patrol, to junior Assistant Troop Scouter and Chairperson of the 1st Motho ka Motho Court of Honour. He also received his Wood Badge and opened his own Scout Group, 1st Ed-U College. One of Doctor’s favourite memories is helping one of his Scouts achieve a top award. “We visited a care home called ‘Morning Star where we got the opportunity to give back to the community and to play and show the kids Scouting activities. We did pioneering games with them. It felt so good to see kids out of Scouting enjoying our methods!” he reminisces. In 2015 Doctor decided to take on another role within the Scout Movement, that of Regional Commissioner of the Free State. “It was a new thing for me to lead Scouters older than me. A lot of work was always sent to me. Everyone wanted the RC to do everything. It was a challenge but I was fortunate to have a good mentor, Mr Mgaga, on my side. He has really helped me to improve my leadership skills. Firstly, we invited all Scouters to attend a workshop where we presented all the positions we have in our Region. This helped them all to get a clear image of what is expected from the Regional Commissioner, the District Commissioners and the Scouters. Now, our Scouters follow the right procedures before coming to me as a Regional Commissioner. I’m very grateful to all the adult volunteers in my Region and Mr Mgaga as we now work as a Regional Patrol.” he says with a smile.